Transform the way you think, speak and act at mealtime! 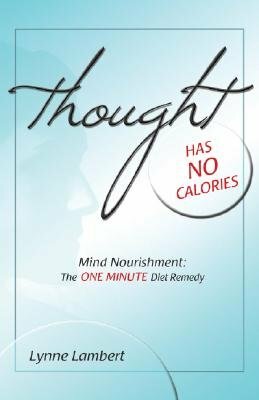 Thought Has NO Calories dissolves body weight struggles once and for all. Use the power of the human mind to discover life's secret recipe, and shift your motives about what (and how) you eat to achieve success today. Learn...the 5 ingredients of Creative Word!...the 10 perspectives for empowerment and peace!...And proven life-altering techniques to help make your fitness goals reality! Don't take this journey alone. Lambert can help you move beyond diet and gain the knowledge and tools you need to heal your body weight problems for life. Like countless clients before, learn how you too can create the purposeful mindset you need to succeed!